Antioxidant rich Facial that minimizes the appearance of pores and gives you a nice youthful glow. Let the elements of hot and cool come together for this amazing massage. Included in this massage is any choice pressure, your choice between volcanic hot stones or Himalayan pink salt hot stones, tiger balm, hot pack,cooling biofreeze foot treatment and aromatherapy. All your senses will be triggered with this massage. The Raindrop Technique is a method of using a combination of reflexology, aromatherapy and very light to feathering massage techniques with pure authentic essential oils applied to the spine and feet for a deeply harmonizing, rejuvenating, and relaxing experience. The Raindrop technique is designed to bring balance to the body, using Young Living essential oils we provide a revolutionary means of nurturing harmony- physically, mentally, and emotionally. Choose from either the volcanic hot stone or the Himalayan pink salt hot stones for a combination of muscle manipulation and the benefits of the Hot Stone for service that is like no other. Let the smell of lavender take you away to a peaceful and relaxing place. Hot stones, honey lavender sugar foot scrub, buttermilk lavender shea butter hand treatment and a lavender scalp massage complete this blissful massage. This sweet little massage will have all the Bees buzzing around you. Hot stones, honey magnolia hydrating body oil, honey heel and hand warming treatments. Feel good as new! Using the Young Living Dragon Time essential oil blend, with Clary Sage, Lavender, Blue Yarrow, Fennal, Marjoram, and Jasmine it is designed to invite positive emotions for woman especially during their monthly cycle. Along with a hot pack and hot stones the Dragon in you shall be tamed. Let the elements of hot and cool come together for this amazing massage. Included in this massage is any choice pressure, your choice between volcanic hot stones or Himalayan pink salt hot stones, tiger balm, hot pack, cooling biofreeze foot treatment and aromatherapy. All your senses will be triggered with this massage. 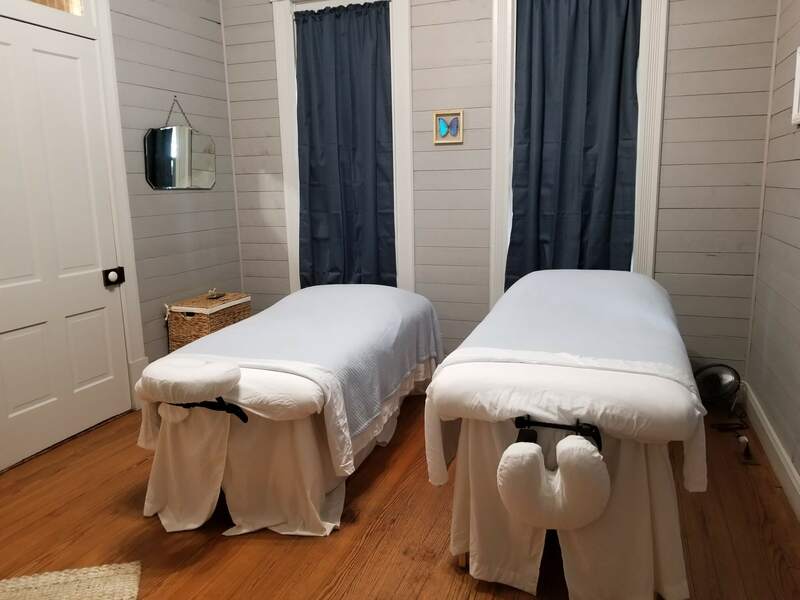 Our raindrop therapy massage combines targeted massage, your choice hot stones with pure authentic essential oils for a deeply harmonizing, rejuvenating, and relaxing experience. Using Young Living essential oils we provide a revolutionary means of nurturing harmony- physically, mentally, and emotionally. All memberships come with free upgrades and 15 min of Beauty Rest. Also included is brow shaping and waxing, and a honey heel and hand warming treatment. 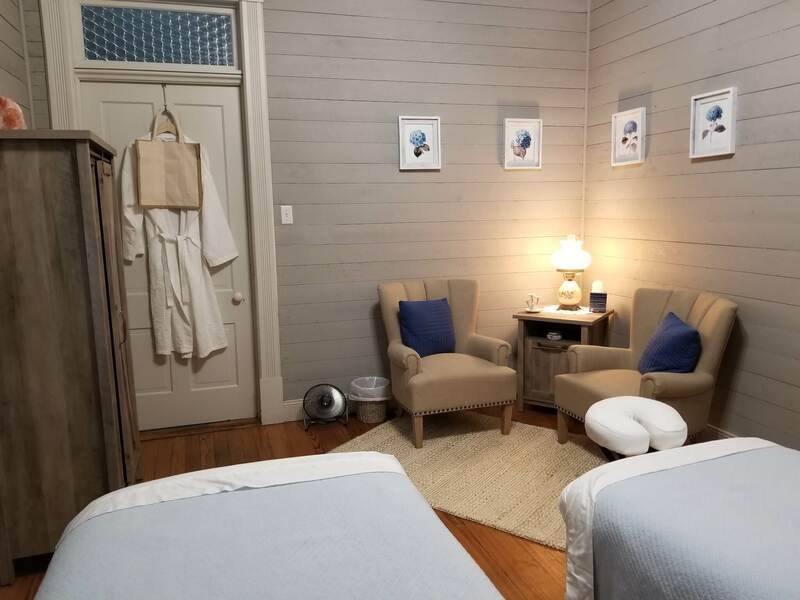 You and your special someone enjoy a 60 minute elements massage, which includes hot stones of your choice (pink sea salt or volcanic), tiger balm, hot pack, cooling foot treatment, and aromatherapy. Get relaxed together! Enjoy a 60 minute massage of choice, then after receive tea or coffee of your choice and seasonal fresh fruit or cakes. Whoever you decide to bring or treat, the two of them will enjoy a 60 minute massage of choice and a 30 minute facial. that special day. Thank you! Ever wish you could just lay there after your massage or your facial and take a nap, well now you can! Offering Beauty Rest, a quiet time just all to yourself after a relaxing treatment. 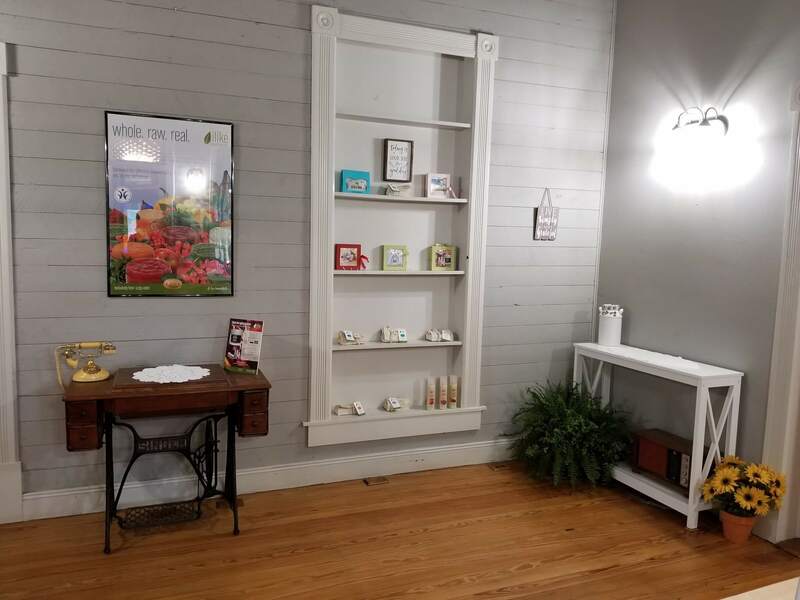 We keep time for you and will wake you with a light knock at the door, accompanied by coffee or tea of your choice and a energizing aromatherapy blend! You’ll be good as new! Need a facial but don’t have a whole lot of time, get a refreshed face in no time flat, this facial comes with steam, dual cleansing, exfoliating, mask, toner, moisturizer. Cutesy just got refined, with microdermabrasion. In this facial you receive steam, duel cleansing , exfoliation, microdermabrasion, mask, toner, moisturizer, and SPF. Not just cutesy anymore. 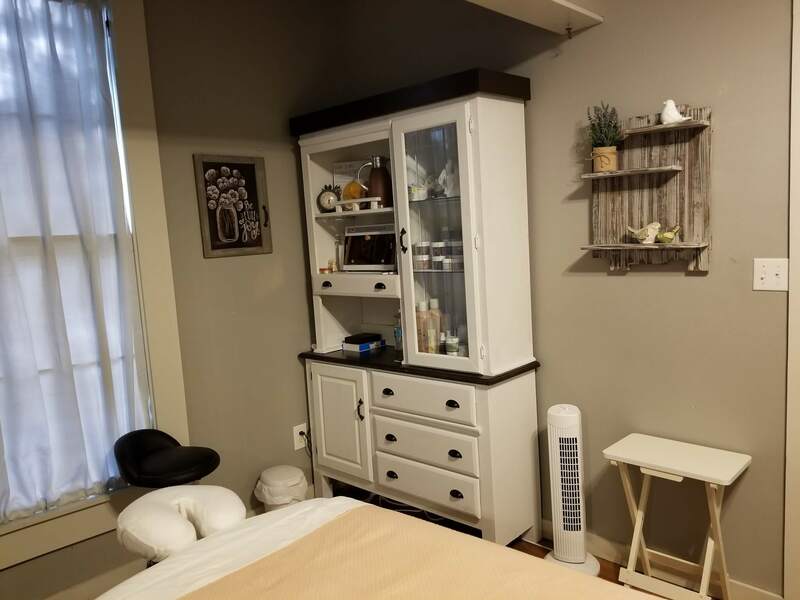 All facials lasting 60 minutes or more come with arm and hand, neck and shoulders, and scalp massage, warm aromatic facial towels and extractions unless not wanted. The classic European facial just got a new name, this lovely facial is customized to your skin it includes steam, duel cleansing, exfoliation, a mask addressing what your skin needs at this moment, toner, under eye treatment, serum, moisturizer. Your skin will feel clean and refreshed after. Having issues with Acne or blackhead breakouts, then this is the facial for you. Customized to help you clean out your pores and get you on the right track to cleaner clearer skin. Starting with steam to soften the pores preparing them for extractions, duel acne fighting cleansing, exfoliation, extractions, acne fighting mask, toner, acne fighting serum, oil free moisturizer and SPF. Your face will feel squeaky clean! The masculine side of the European facial. Exactly like the Adorable Facial just a bit more manly. Even the gentlemen need to keep their skin clean. Facials longer than 60 minutes also include foot massage, and hand treatment. You can upgrade microdermabrasion to dermaplaning for $20 on these facials only. The Adorable Facial just went to prime school, with the added benefit of an enzyme for your exfoliation and an added mask. Feel a little more prim and proper after this facial. Give your dull skin a lovely glow with the Polished facial.  This wonderful facial includes steam, duel cleansing, enzyme exfoliation, microdermabrasion, brightening mask, toner, under eye treatment, serum, moisturizer. This facial will leave your face with a fresh glow. The spicy tingly mask stimulates blood vessels with its herbal contents to help strengthen the walls of blood vessels as well as having brightening and regenerating effect. Good for hyper-pigmentation and blemished skin. This lovely facial removes dead dull skin and vellus hair allowing our Ilike sour cherry line to firm, strengthen and hydrate loose and large pored skin, filled with antioxidants as well to aid in the anti aging facial. This facial includes steam, duel cleansing, enzyme exfoliation, microdermabrasion, two masks, toner, under eye treatment, serum, moisturizer. This facial has it all, steam, duel cleansers, enzyme exfoliation, lip exfoliation, microdermabrasion, two masks, lip mask, under eye treatment, serum, moisturizer.